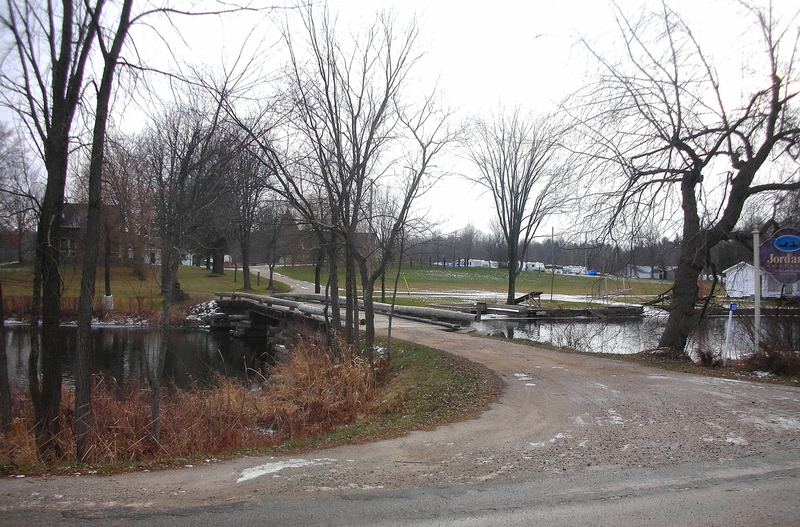 Throughout the entire year, in 1967, there were special events planned all across Lanark County, to help get everyone into the spirit of the 100th anniversary. There was even a special flag created that year. It was a stylized maple leaf made up of 11 triangles, representing the provinces and territories. I remember that the Lions Club was selling these flags in Perth, and one of the first places to hang one was at ‘The Perth Courier’ offices. The grade eight students at Queen Elizabeth School went one step further, and constructed a three dimensional version of the flag. They had a special ceremony at their school, with some local dignitaries – Rev. J. Gillanders did a devotional service. The Principal Miss Jean Blair was there, John Scott, Mayor Burchell, and Jack Wilson. The Royal Canadian Mint issued new coins for the centennial year. Each coin depicted a different Canadian animal – the back of the dollar coin had a Canada goose, the fifty cent piece was a wolf, and the back of the quarter was a lynx. The Bluenose schooner on the back of the dime was replaced with a mackerel, the nickel featured a rabbit, and the one cent coin had a dove. It was also the last year that pure silver was used in our coins. Mother and Dad decided that they would like to go to Montreal that year for the centennial celebration called ‘Expo ‘67’. This was a kind of ‘world’s fair’, and was to be held in Montreal, Quebec, from April to October that year. There were 62 nations in total that participated, and they each had displays and ‘pavilions’ set up to showcase their countries. It was held on Ile Sainte-Helene, and Ile Notre-Dame, on an already existing island, and some ‘created’ islands as well. There were likely many discussions back and forth between Prime Minister Lester B. Pearson and the mayor of Montreal Jean Drapeau, to get everything just right. Canada would be hosting many nations of the world, as well as its own citizens celebrating their centennial. Dad was delivering milk, door to door in Perth, working for Chaplin’s Dairy in Glen Tay at that time, and he would have his usual two weeks of vacation in July. It was decided that one of Dad’s vacation weeks would be spent at ‘Expo ‘67’, and Mother, who was the usual arranger-of-travels, began to look for accommodations. Mother read in the newspaper that there were families that lived close to the exhibition grounds in Montreal, who were renting rooms in their homes, and so she began making some phone calls, and writing some letters. She found an English-speaking family who lived within walking distance to the Expo; they even had a little girl that was a couple of years younger than me, so that I would have someone to play with. This seemed like an ideal choice. Now came the tricky part…….. Dad did not like driving in heavy traffic. He did not like driving in Quebec. He did not like driving on freeways. Hmmm……Mother was going to be asking him to drive on busy highways, in Montreal, to probably what would be the most congested area for traffic in the entire country that summer. This was going to be ‘interesting’. The months passed by quickly, like they always do. 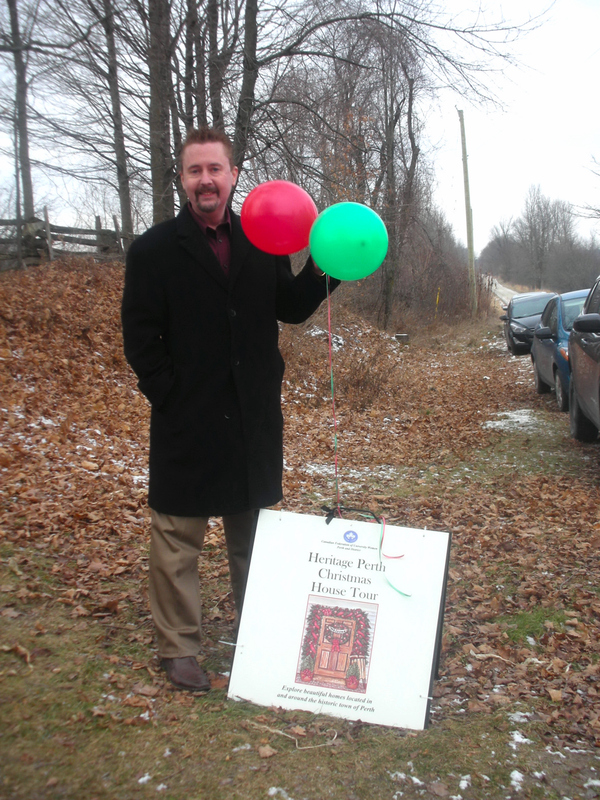 There were lots of celebrations going on all over Lanark County, and so, because it was such a busy year, I think that the time passed even faster than usual. The big week finally came. It was time for Dad’s vacation. The weather was hot and sunny, and we packed up the old Buick with our well-worn suitcases, and we drove down the lane, turned left onto the Third Line, and headed for Montreal. We crossed over at Glen Tay, and turned right onto Hwy 7, and headed east. It wasn’t long before we saw the signs telling us how many miles it was to get to Ottawa. Mother said we’d be passing by Ottawa on the Trans Canada Highway, and then continuing on to Montreal. Dad didn’t like driving on the Queensway; not at all. By the time we passed Bayshore I could see that he was getting a little ‘hot under the collar’. By the time we got into Quebec, and were getting close to Montreal, I discovered for the first time in my life, that my father was bilingual. No, he couldn’t speak French. 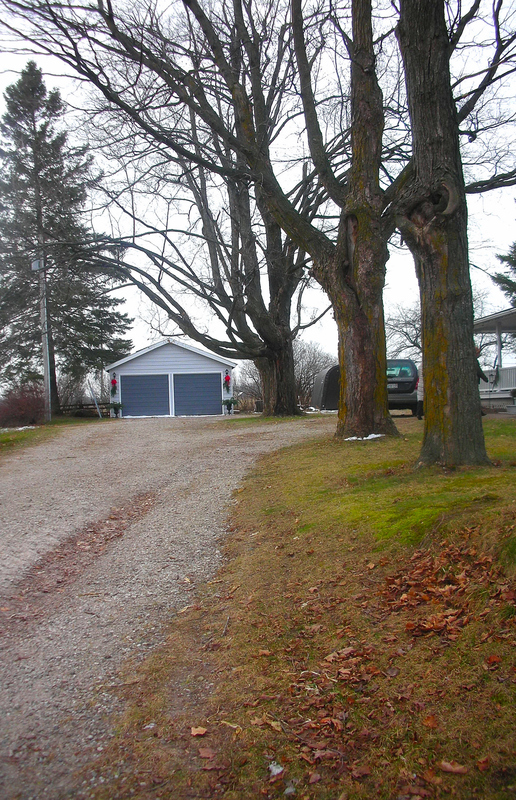 He had grown up on the 11th Concession of Drummond Township after all, on a farm, in the 1920’s and 30’s. No, there wasn’t really any French being spoken up there. No, the language that he started speaking, just outside of Montreal that day so long ago, was a completely new one – one that he likely wouldn’t want to be speaking when he dropped Mother off at Calvin Church on Sunday mornings. Mother was giving him ‘the look’, and for once, it didn’t seem to be having any effect. Apparently, from what I could gather, Dad was not too impressed by the skill level of the drivers in our neighbouring province of Quebec. Once we got into the downtown core of Montreal, we were trying to find the house where we’d be staying. Dad got lost a couple of times before we finally arrived, and once again he demonstrated his fluency in a second language. He would not, under any circumstances, stop and ask for directions, and Mother was frantically unfolding and re-folding the city map of Montreal. I sat quietly in the back seat, and hoped that we’d be there soon. We finally found the house, and pulled into their driveway. They were very friendly people, and came right out to our car to greet us. Their names were Jimmy and Vicki Irvine, and their little daughter Sharon was there beside them. Jimmy helped Dad carry the luggage inside, and they showed us the room where we’d be staying, and I had a nice little cot on the floor, on one side of their room. Mrs. Irvine was very kind, and she already had our supper on the stove. She and Mother chatted in the kitchen, and Dad and Jimmy went back outside so Dad could have a smoke. Sharon took me downstairs to their basement, and wow, their basement was really something! She had more toys than I’d ever seen in my life, and right smack in the center of all of the toys was a spring horse!! It was a plastic horse, set on a metal frame, and suspended by big heavy springs, and you could climb on its back, and either go up and down, or backwards and forward. I loved it! I was going to ask if I could have one of these for Christmas. I thought to myself that there really wasn’t much chance of that happening, so I’d better enjoy riding it while we were staying here. We stayed with the Irvine family for the entire week. We’d take the short drive to Expo ’67 each morning after breakfast, walk around, and see all of the different pavilions that were set up to showcase each country. We even got a little paper ‘passport’ booklet, and a new stamp was added each time we visited another country’s pavilion. That was a pretty cool souvenir! Another souvenir from that trip was a little notepad with a red plastic cover, with the centennial maple leaf design on the front, and even better still, I was given three four-leaf clovers. Mr. Irvine had a patch on his lawn where there were four-leaf clovers growing, and he picked three of them for me to press in my little notepad, before we left at the end of the week. Mother and Dad kept in touch with the Irvine family for many years. We never returned to Montreal, but they sent Christmas cards back and forth each year, for many years, until one year when Mother didn’t receive a card. It had been many decades since our trip, and Mother wondered at the time if one of them had passed away. The Christmas before that was the last time we would hear from them. It was sad to have lost our connection with the Irvine family. Whenever we’d receive their Christmas card each year it always brought back the memories of Expo ’67, and of all of the centennial celebrations. I fondly recall all of the special events in Perth that year, and in different parts of Lanark County. When I think of the 100th anniversary of confederation, and of Expo ’67, I will always remember the Irvine family, and how they graciously opened their home to us, strangers from another province, that they welcomed us as if we were old friends, and made us feel a part of the big celebration going on in our country that year. It serves to remind me, even today, that there are good folks everywhere, not just in our own back yards, but all across this great nation of ours. Late one summer, we heard that there was going to be a music festival over the Labour Day weekend, up in Ompah. This was going to be a back-roads tour to end all back-roads tours – an outdoor party with live music, and we couldn’t wait! There wasn’t really much up there at that time. The most popular thing in Ompah was likely the Trout Lake Hotel owned by Wayne Kearney. It was a former residence; over 150 years old, in fact it was the oldest building in Ompah and was now a bar. The old timers around there say that they began serving liquor there in 1904. 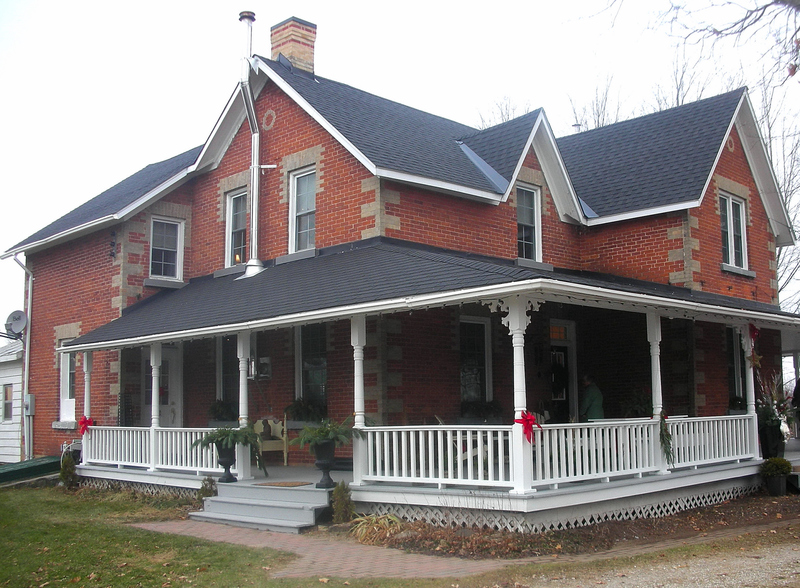 It was the first licensed establishment in Eastern Ontario and the locals also said it was one of the first bars in the province. That place was the home of some famous and infamous barroom brawls too, but we won’t get into that. There were quiet times, but the people who went up there mostly summer fishing enthusiasts and the winter snowmobiling patrons kept it fairly busy. After much anticipation, Labour Day weekend finally arrived. We packed as many of us that could fit into one of my friend’s parent’s cars and off we headed to Ompah. 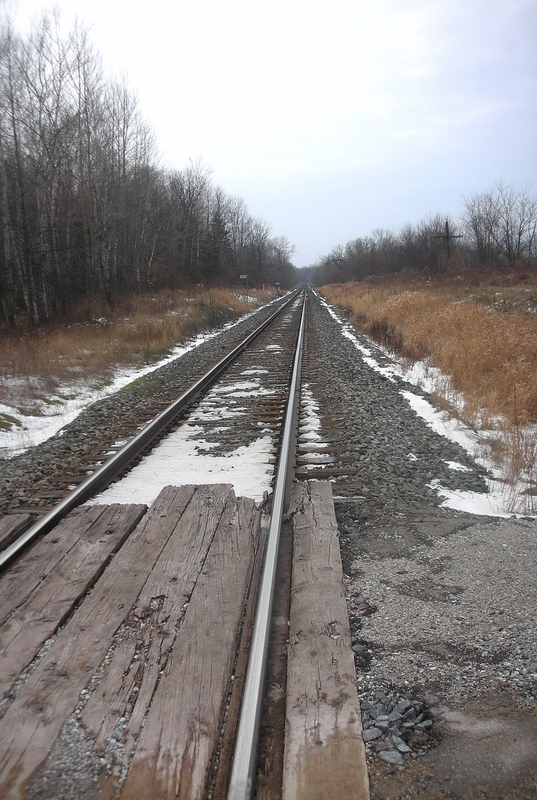 We drove up the third line and turned up Cameron Side Road, past Calvin Church and over the tracks and onto Hwy 7. We turned onto the Elphin Maberly Road and continued onto Hwy 509, then Lake Road and Lafolia Lane. We parked and got out of the car. 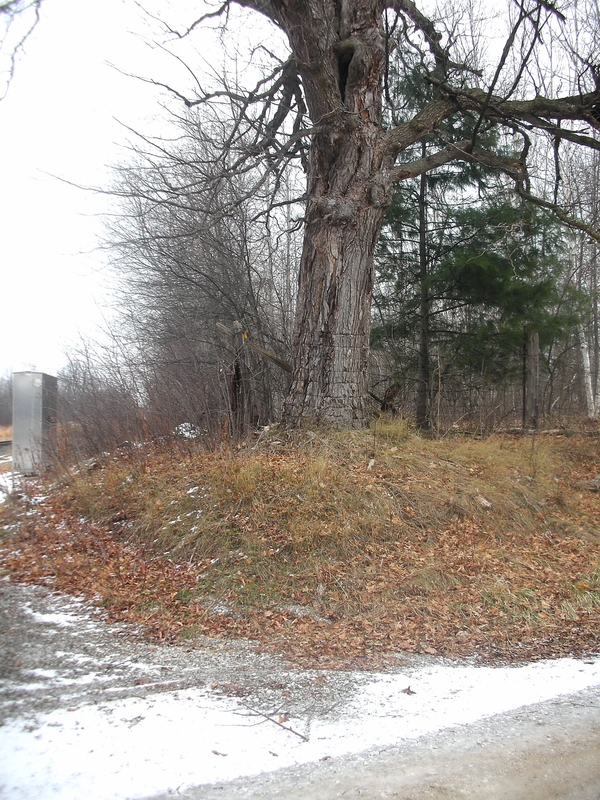 The Stomp grounds were beautiful with tall, majestic trees, situated on a hill, overlooking Palmerston Lake. That first Ompah Stomp was held on September 3, 1978 and their special guests were Max Keeping of CJOH TV and Doug Anderson of CKBY FM. The step dancing contest was held at about 8pm followed by old fashioned round and square dancing. The musical guest artists that year were Sneezy Waters, Mike O’Reilly and Wayne Rostad. I guess we thought that it was our own little ‘Woodstock’, and over the years the Ompah Stomp grew as people heard about it and wanted to experience the live music and party atmosphere. That first year, the organizers had anticipated about 200 people showing up and they ended up with a crowd of closer to 3,500. The second year the crowds grew to 5,000 and the third year saw that rise to 6,500. Some of the musical acts that performed at the Stomp were: Neville ‘Nev’ Wells, also a member of the Ompah snowmobiling club, the Family Brown, Jack McRae and the King of Clubs, The Prescott Brothers, Hugh Scott, Ron McMunn and Carbine, Steve Glenn, David Thompson, Fred Dixon, Lynn and Chris, Lloyd Wilson, Dallas Harms, Ted Daigle, C-Weed Band, Terry Carisse and many others. Liquor and beer flowed freely from coolers and wineskins and the lineup at the washroom facilities was unbelievably long, but everyone enjoyed themselves just the same. It was wonderful to have a music festival so close to us. Usually, if we wanted to hear live music of that calibre we’d have to travel to Ottawa or Kingston, so it was great to have the Ompah Stomp so close by. The Stomp would carry on for many years after those first few annual celebrations, and people would come up from the States and would come from neighbouring provinces as well, some came from as far as Alberta. Labour Day weekend was one of the busiest and most exciting for us in the area, because we had the Perth Fair and the Ompah Stomp. Who would have ever thought that a small village of around 100 people and their little snowmobile club would be able to create a music festival that would attract thousands of people from all around. 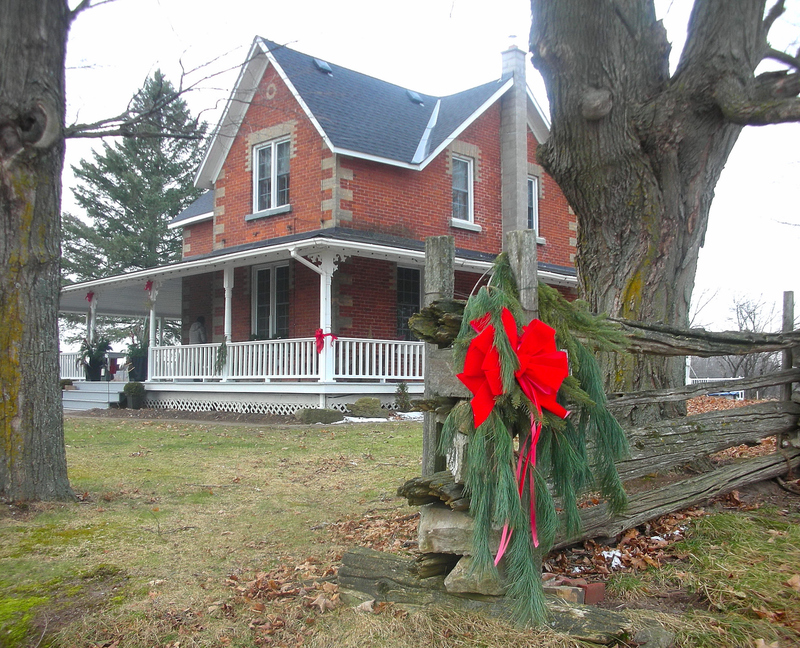 It was another example of the spirit of the people who lived in rural Eastern Ontario. They never faltered in their belief that they could succeed, or lacked the confidence to organize a music festival just because they were a handful of folks from a tiny village. The Ompah Stomp became a metaphor, an example for all of us that it only takes a few people who believe strongly in something to make a difference. It sure made a difference for us kids in the country who were always looking for a little excitement; and the Ompah Stomp made our last weekend each summer something we’d all remember fondly for years to come. Many thanks to Don White and Neville Wells for providing the names of the musicians in the photos! Some of the families who settled around Ompah: Dunham, Kelford, Closs, Conlon, Dawson, Ellenberger, Elliott, English, Gunner, Hitchcock, Cox, Keller, Killlingbeck, Kirkwood, Mabo, Massey, McGonigal, McDougall, Molyneaux, Moore, McDonald, Murphy, Payne, Praskey, Sproule, Thomas, Tooley, Richardson, Riddell, Roberts, Sproule, Stewart, Stinson, Thomas, Uens, Ostler, MacRow, Martelock, James, Ackerman, Allen, Struthers, Brown, Gunsinger, Lemke, Armstrong, Jeannerett, Hermer, McNeil, Badour, Johnston, Kring, HIll, Weiss, Wood, Card, Boyd, Dempster, Donaldson, Larock, Morrow, Mundell, Praskey, Ryder, Shanks. 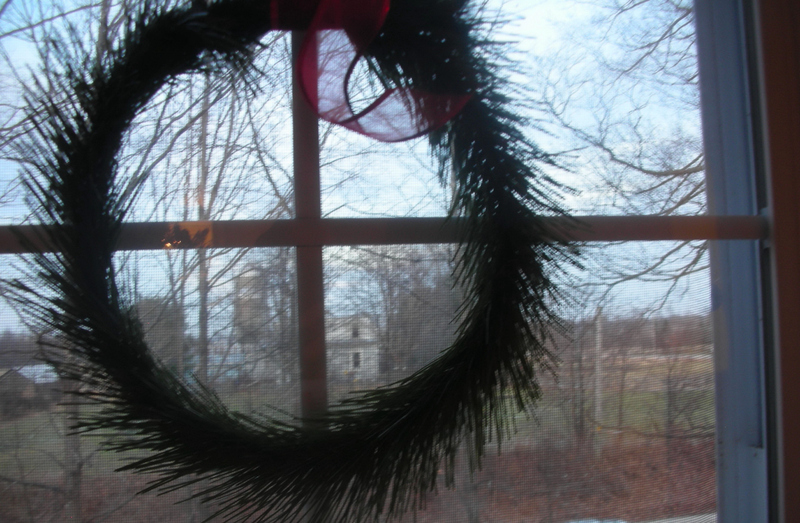 For some people it’s the music of the season, the smell of the turkey, or the glittering gifts sitting under the tree; but for me it was a special visit to the house where I grew up, a homecoming, after a long absence of twenty-two years. It doesn’t really seem that long ago since our father passed away in 1992, and our mother moved to town. I almost half expected to see him coming from the garage, carrying a tangled mess of Christmas lights, asking me if I’d hold the ladder steady, while he fastened the wire clamps onto the big spruce tree at the front of the house. When I first heard from Wendy Parker, the current owner of our former home, that it was to be part of a Christmas House Tour, my thoughts turned back to days gone by, of the heavenly smells of Mother’s baking, bright cards in the mailbox at the end of the lane, and special concerts and plays at Calvin Church. 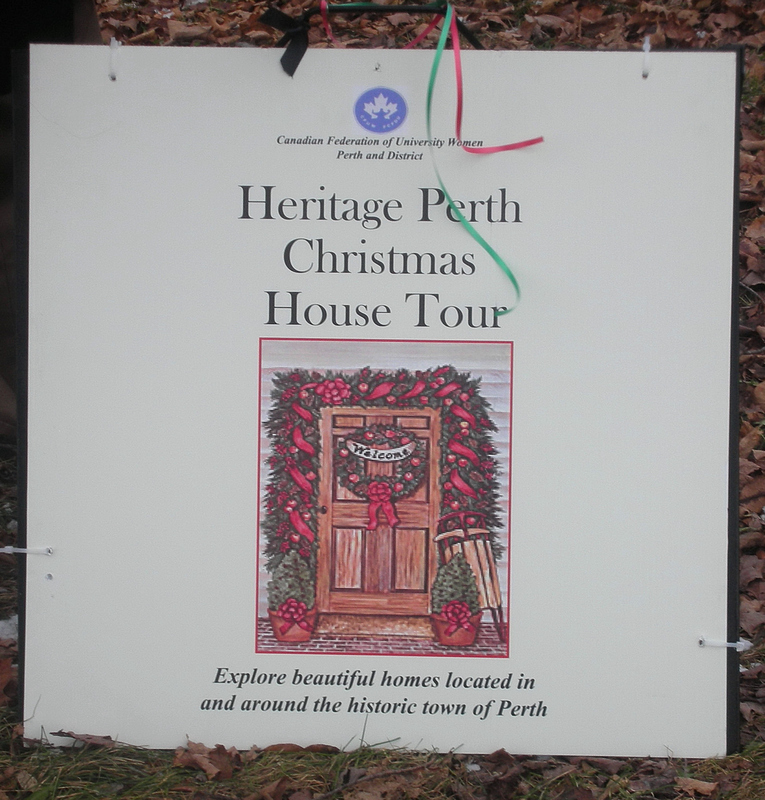 There would be eight houses in total on the Christmas House Tour, and the event was sponsored by the Canadian Federation of University Women, and the money raised would help support education in the community. Kevin and I arrived early that afternoon, with ample time to visit some of my old, familiar haunts. We drove first to Christie Lake, a place I knew well, the bridge at Jordan’s, where I’d jumped many times into the cool, clear waters. Hot days spent riding bikes with friends on the Third Line, and when that bridge was finally in sight it was like seeing an oasis in the middle of the desert. What a welcome sight it was! And even on this cold, December day, the lake appeared as serene and as lovely as it always did, calm and blue, waiting patiently for cottage season, and the laughter of little ones, the parties and music of the older ones, and a place of peace and serenity for the eldest ones. We drove along the shore, and then headed back up the Third Line. A visit home would not be complete without making a stop at the church where our Mother brought us every Sunday. This was where we celebrated baptisms, witnessed weddings, and met for comfort after funerals. This was the setting for the Strawberry Socials, Easter Sunday white gloves and hats, the lighting of the advent candles and Christmas Eve. The church stands proudly on Cameron Side Road, looking solid as ever, a place for meeting neighbours, friends, a place for worship, a place for solitude, and a shelter from the storms and turmoil of the outside world. 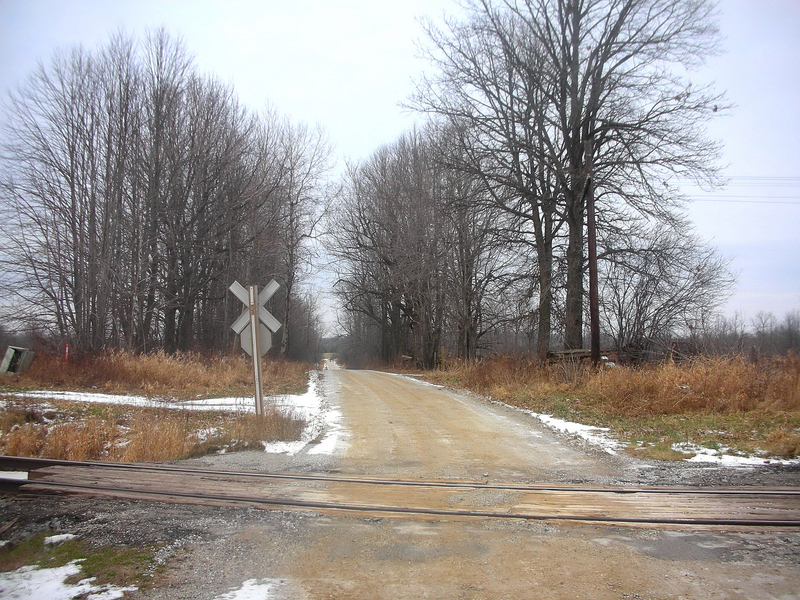 We headed back to the Fourth Line and rounded the curve, up to the railroad tracks. There were many strolls along these tracks to the duck pond, watching the beavers at play, seeing the ducks return year after year, raise their babies, and leave at the end of the season. Memories of sitting under the big tree along the tracks with my brother Roger as we patiently placed a penny each on the rails, sat back, waited for the train to go by, then retrieved our flattened pennies. Many hours in my youth were spent waiting for trains, listening to the sounds of the lonely whistles, and hearing the rumbling and chugging down the tracks as they headed for Perth. 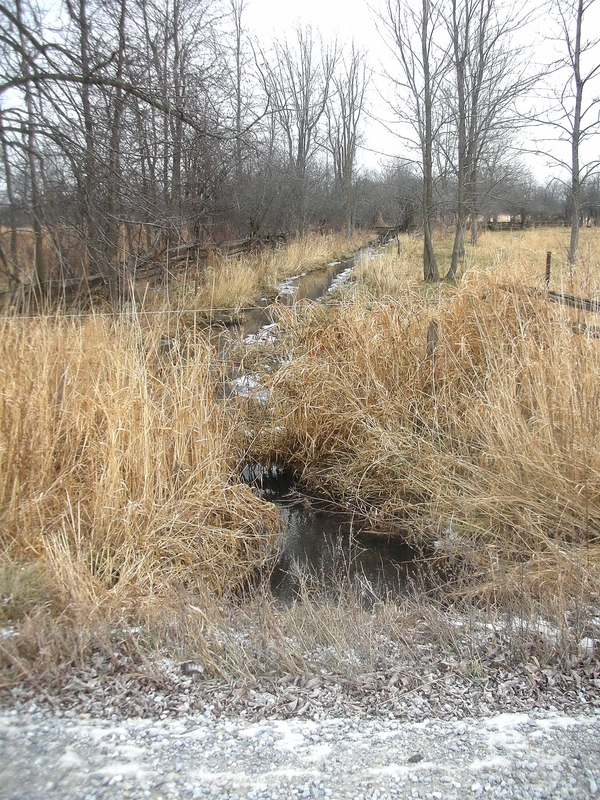 We continued up the side road to the little creek and as soon as I spotted it, I remembered scooping up the tadpoles in my sand pail, and then pouring them into a big glass pickle jar to set on the window ledge in my bedroom. Every spring it was a ritual to catch some of these quick, black tadpoles, or pollywogs, as we called them, and watch them for hours, swimming contentedly in the jar, until we dumped them back into the creek. 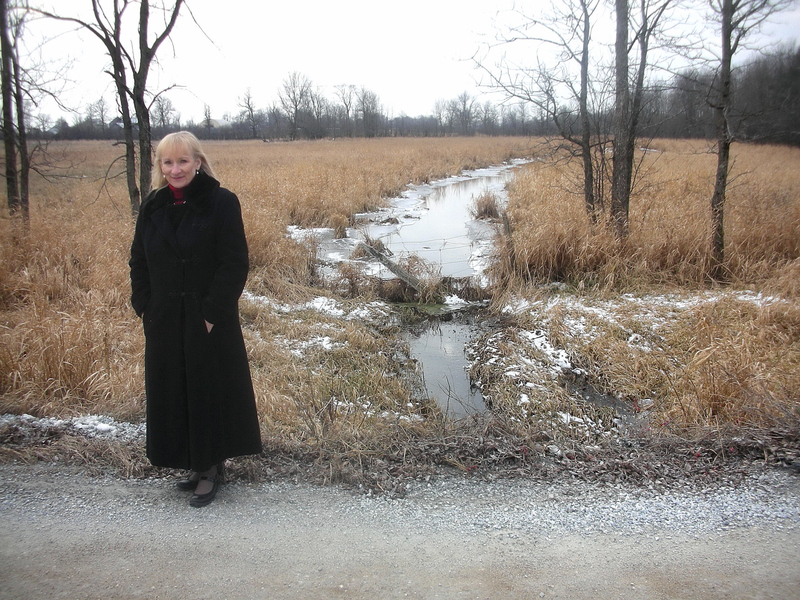 The lowlands, across from the creek were still flooded, and ice was already beginning to form. 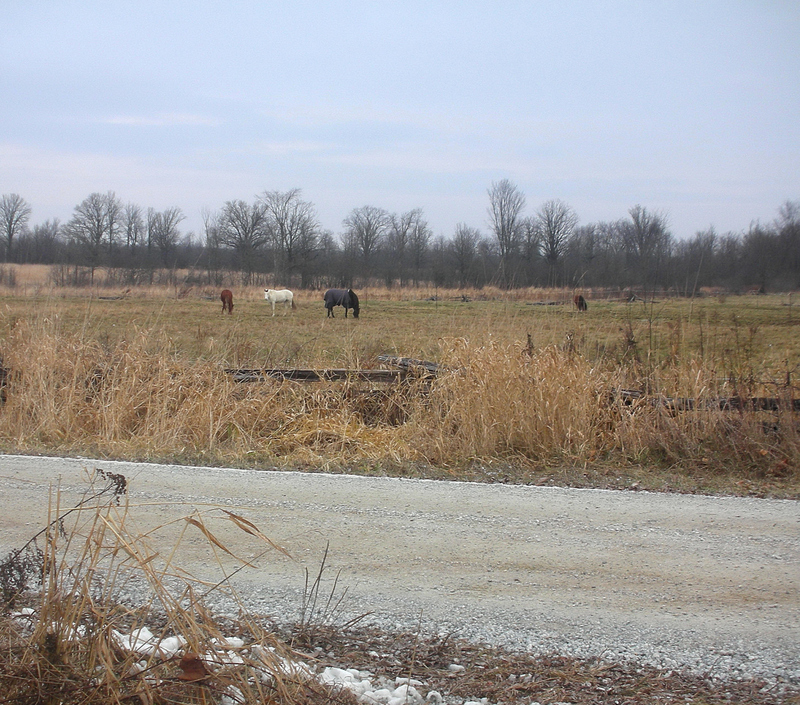 It was back on these lowlands that we all learned how to skate; not on a flat, pristine ice surface in an arena, but through the weeds, and over the bumps, and up and down the imperfections of a farmer’s field. The fact that our skates were old hand-me-downs was the least of our worries! We drove up the side road to the laneway and parked the car. As we walked up the lane, the slopes and curves of the land were as familiar to me as if I’d never left, and we made our way to the door and knocked. 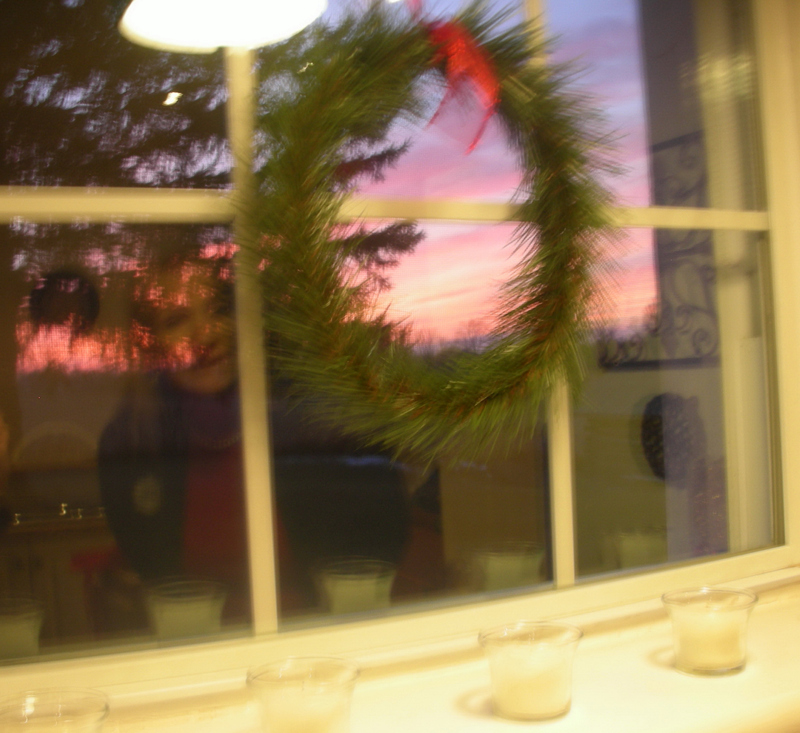 When the door opened and we stepped inside, the home was beautifully decorated for the season. Wendy’s elaborate table was laid out with her mother’s china and cutlery with festive accents fit for a holiday gathering. The whole house in fact, was lovely and bright, adorned with reds and greens and touches of gold and shimmer. As we walked through the rooms, one by one, they were warm and inviting, and almost made me forget that something was missing – the smell of fresh baked bread, a permanent aroma in our house as Mother baked daily for a family of seven. There was a lovely display arranged on a table in the den, an album of our Stafford family photos and copies of ‘Lanark County Kid’ and ‘Lanark County Chronicles’. I thought that they looked very much at home in this well cared-for house, so lovingly maintained and obviously cherished. Perhaps what made the house seem so much like home, after so many years away, were the familiar faces, friends and neighbours, who came to share the memories, of the things that once were; and to celebrate a new Christmas season, content and happy in each other’s company. Though Wendy’s is the newest face among us, it’s as if she’d been with us all along. Wendy is a gracious hostess, and we all had a wonderful time chatting about the house, and catching up on the news in the neighbourhood. I walked through the house, room by room, and the memories of the past lurked playfully around every corner. The house seemed to remember me, and the walls and ceilings surrounded me with love, and kept me warm and safe once again. It was a special day, and a rare treat to be back home. Heartfelt thanks to Wendy and to the members of the Canadian Federation of University Women, for making our visit possible, and many thanks also to old friends and neighbours Margery Conboy, Beverly Ferlatte, Betty Miller, Eleanor Paul and her lovely daughter Heather for joining us on our trip down memory lane! 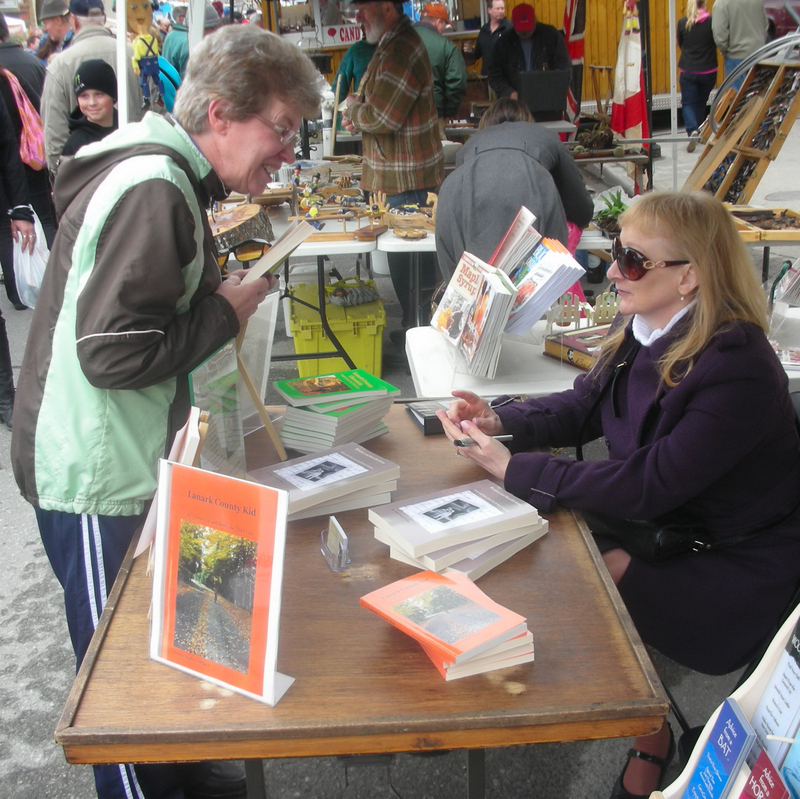 Thanks to everyone who helped to make the Book Signing at the Festival of the Maples such a huge success. Many thanks to our host Leslie Wallack at The Book Nook 60 Gore St.E. in Perth and her wonderful staff Rhoda, September and Clark. The skies were grey when we first arrived, but shortly after the sun broke through and the population of the town of Perth swelled as the streets were filled with people enjoying the mild weather and over one hundred vendors and live entertainment. We were busy at our booth at The Book Nook seeing old friends stop by to say hello and meeting new folks, some who had read one or more of the books already and some who were buying one of the books for the first time. Thanks again to Carole and Jody Shillolo who made the trip from Burks Falls to attend the Festival of the Maples. It’s always a treat to see Alex and his girlfriend Cassandra and our niece Meaghan and her fiance Sean and they enjoyed the exhibits and sampled some of the local fare. Old friend Randy Gordon popped by to say hello and former 4H club member and classmate Dianne Tysick Pinder-Moss and her husband Bob came by as well for a chat. Third-Liner Trina Conboy visited our booth and her son Sawyer was enjoying his taffy on a stick. We also met some of the Fleming family of Bob’s Lake and had a nice chat with them. There were many other visitors and we’d like to thank everyone who stopped by our booth yesterday. 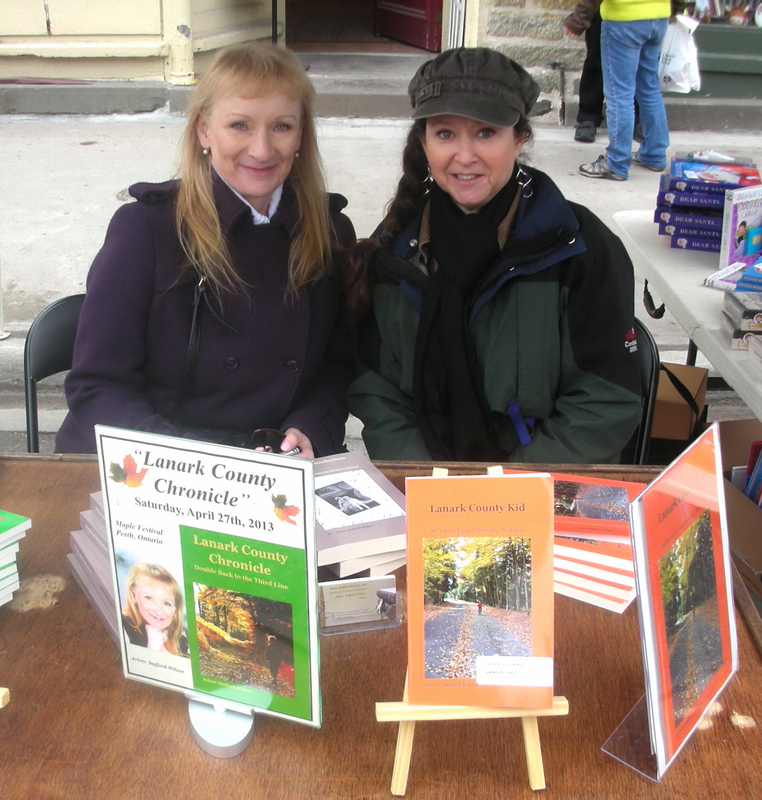 A good time was had by all at the 37th annual Festival of the Maples and we look forward to returning next year! 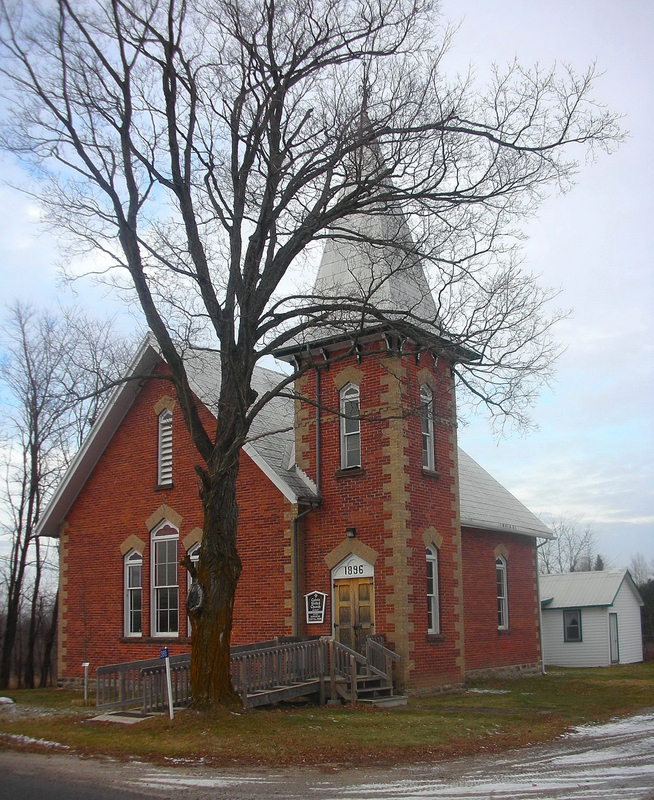 It was a cool sunny day with clear roads for the drive to Archives Lanark, located in the old Drummond Township offices just east of Perth, Ontario. The parking lot was full and the crowd was enthusiastic at the March meeting of the Lanark County Genealogical Society. It was great to see so many familiar faces and nice to see some new ones as well. We were greeted warmly by LCGS President Janet Dowdall, past President Marilyn Snedden and Irene Spence of Archives Lanark. It was a pleasure to finally meet Jayne Munro, Programme and Public Relations Co-ordinator who had invited me to speak on behalf of the LCGS. I would like to thank Frances Rathwell for supplying the digital projector as well as her help with the set-up. 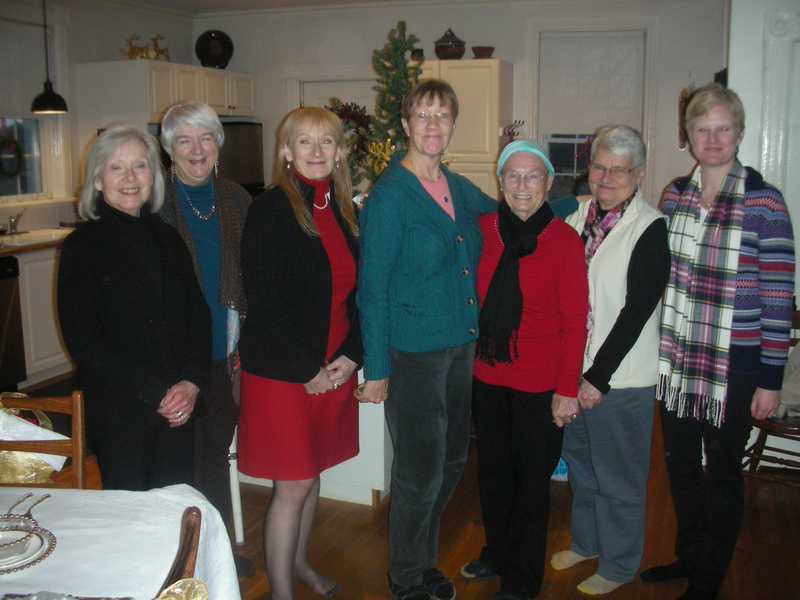 The members of the LCGS provided a lovely table of refreshments including homemade muffins, cheese and crackers, assorted candies and a refreshing fruit punch. It was nice to re-connect with old friend Max Sutherland and also to see Rosetta Van Alstine, sister of my former Glen Tay School classmate Anne. Also present was Irma Willoughby who shared her story of observing the cattle drives with her father, back in the day. Brian Dowdall brought great news that he and Janet had recently acquired some very old local documents including some original land titles dating back to the early 1800s. The presentation included a PowerPoint slide show illustrating three of the pioneer families: McGarry, Stafford and Doyle. Also included were slides discussing the Thomas Stafford family and his descendants. 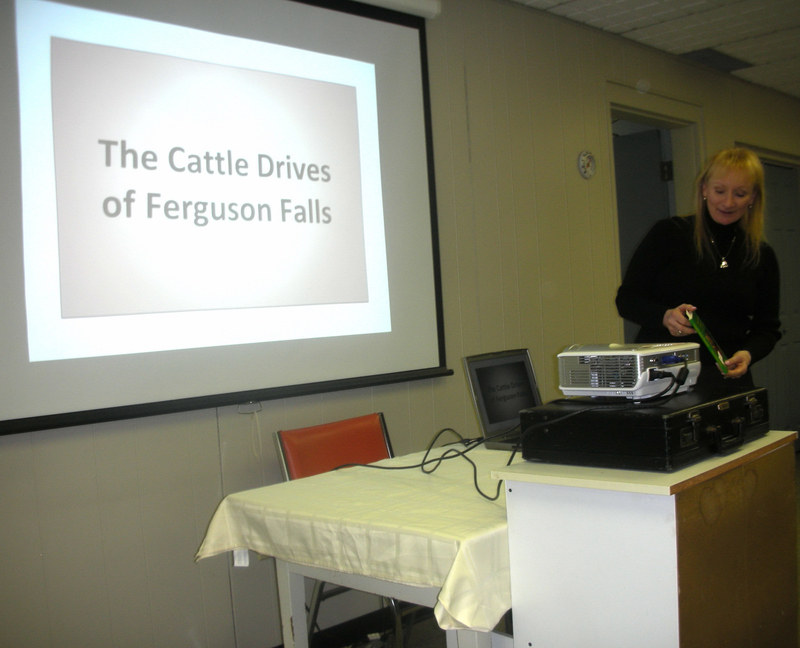 The presentation concluded with a reading of Chapter 6 of my newest book ‘Lanark County Chronicle’ and the story of the ‘Cattle Drives of Ferguson Falls’. There was a question and answer period followed by the presentation of a bottle of maple syrup and a thank-you card from Frances Rathwell. 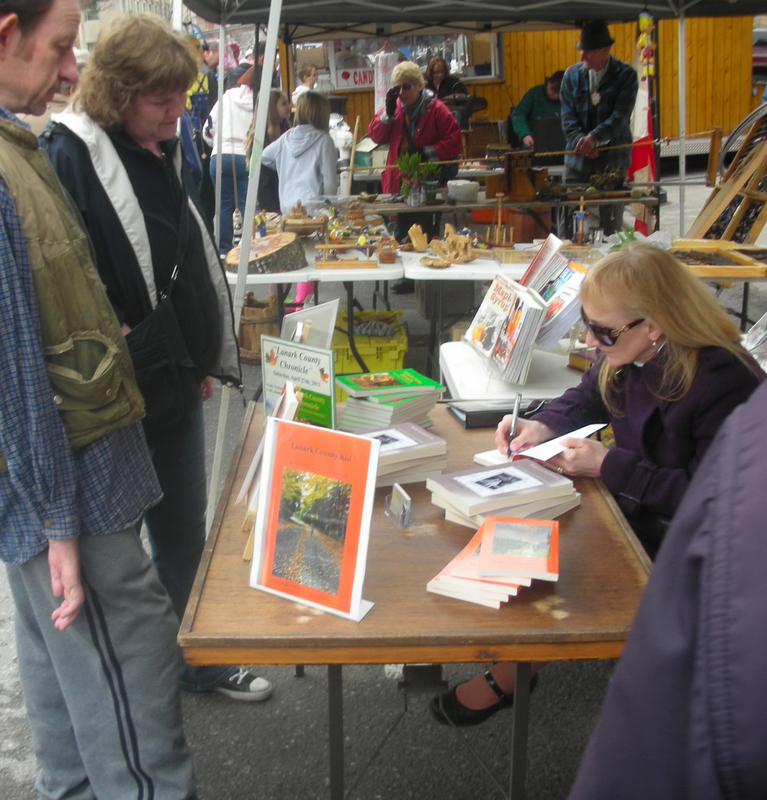 Sales were brisk at the book table and many books were signed; dedicated to their new owners. 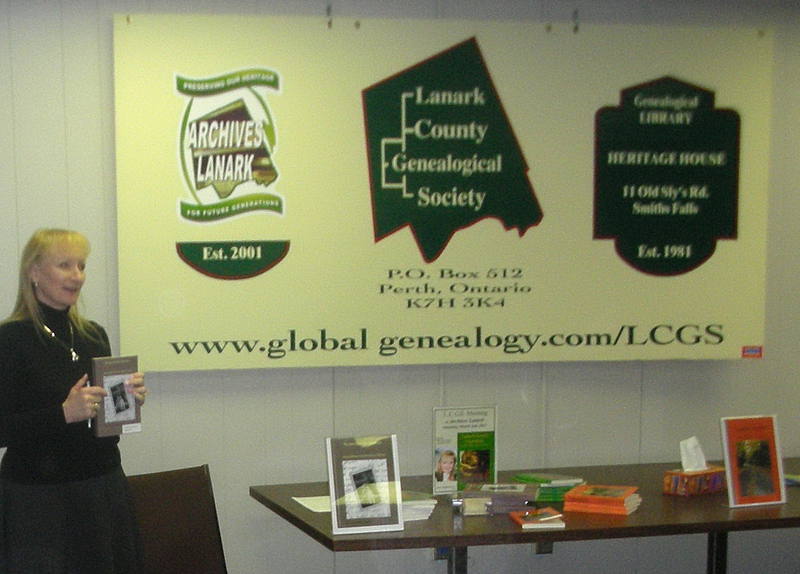 We would like to thank the Lanark County Genealogical Society and Archives Lanark for hosting the event and for all who helped with the set-up and the delicious refreshments and made the day so memorable for us. Many thanks to Brian Perkin of 88.1 The Lake! Brian asked some great questions about ‘Lanark County Kid’, ‘Recipes and Recollections’ and the upcoming Book Signing at The Book Nook this Saturday in Perth, Ontario.